Heading to New York soon? You need to read this. 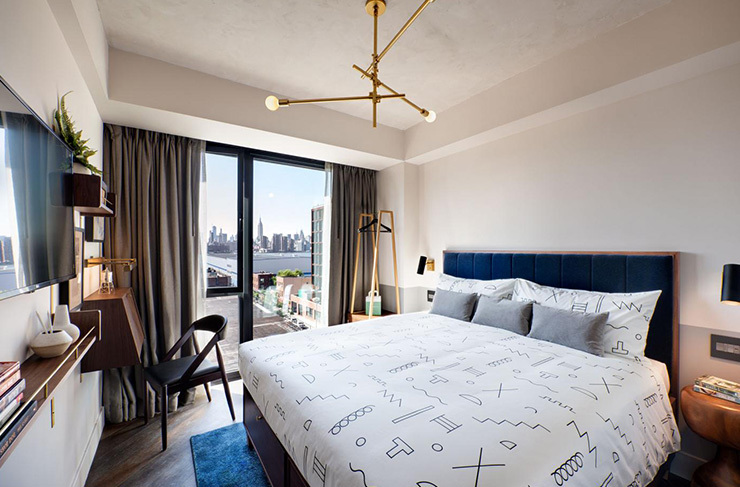 Designer hotel The Hoxton is about to launch its brand new, ever so stylish Brooklyn digs, and they're running cheap rooms to celebrate. If you haven't heard of these guys before, here are the cliffnotes. The Hoxton is a rad series of open-house hotels that first opened their doors in Shoreditch (London) back in 2006. They've since expanded to Paris and Amsterdam, and Williamsburg, Brooklyn, is next. Here's the low-down on the new hotel. There's 175 designer rooms available, all decked out in brass detail and raw concrete ceilings. With touches like bespoke bed linen designed by Dusen Dusen and loca-made ceramics, you’ll be well and truly submersed in the culture of Brooklyn. The Hoxton Williamsburg is gonna have three restaurants, including terrace and courtyard spaces, PLUS a rooftop bar with views across Manhattan. Nice. The Apartment will be the hotel's events space, capable of hosting meetings, private dining and parties, along with The Hoxton’s own curated events (which have become pretty famous over the last few years). Not sure about crossing the bridge? You’re a fool. Brooklyn is well and truly the place to be. With similar vibes to Melbourne, it’s a total mix of culture, music and rocking food, restaurants, cool bars and on-trend boutiques. Go for a wander and you’ll find some green spaces to chill out, art galleries to peruse and seriously good rooftops for drinking. 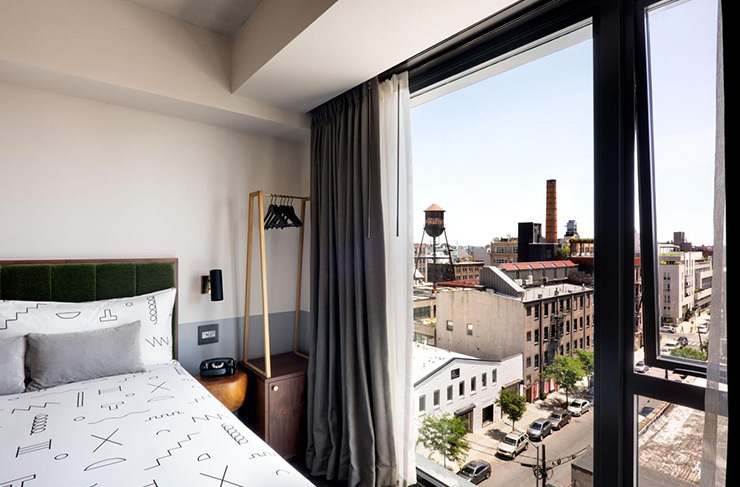 Get in quick, The Hoxton Williamsburg are offering Early Bird room rates for $89/night if you book before Saturday 18 August. You can book here right now. And if you’re heading to Europe, check out their other hotels here. While you're in NYC make sure you're across The Best Spots For Free Wifi In NYC.